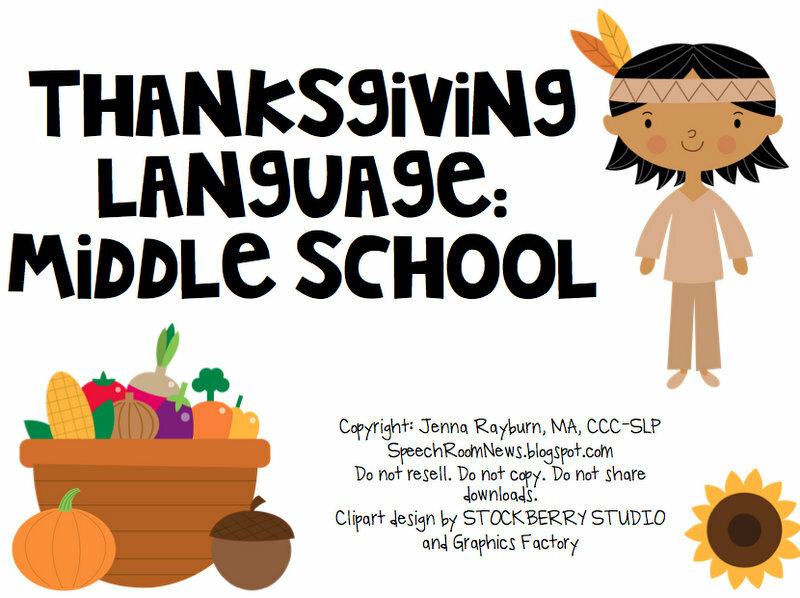 November is creeping up on us so I wanted to share another Turkey Day activity for you! I don’t teach middle schoolers or high schoolers but many of you do. So I thought I’d try my hand at making you something for Turkey Day! The download is 24 pages in length and includes 5 games targeting language, pragmatics and grammar. 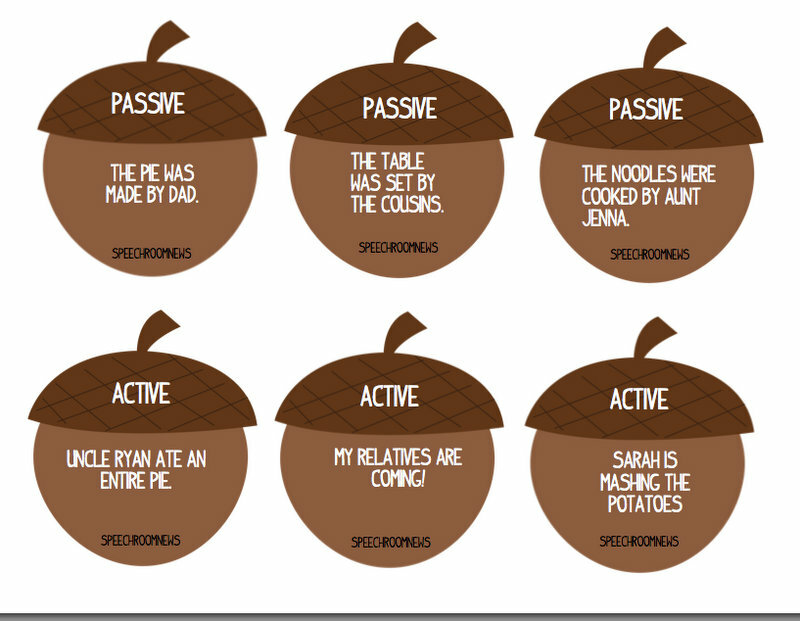 Included games are: Literal/Rhetorical, Active/Passive Voice, Sequencing, Main Idea & Multiple Meaning Ideas. Literal/Rhetorical Questions (16 cards) Each card contains a statement. Decide if it’s a literal or a rhetorical question. Active/Passive Acorns (12 cards) Cut each acorn apart. 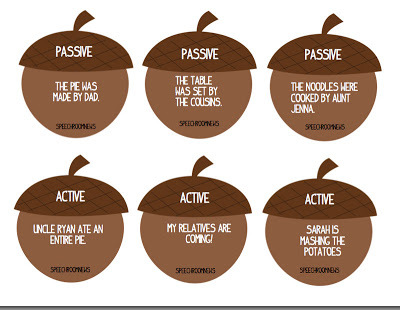 Have students match the acorns and decide which acorns are active/passive voice. Sequencing (12 cards) Students read the sentences and the underlined word. 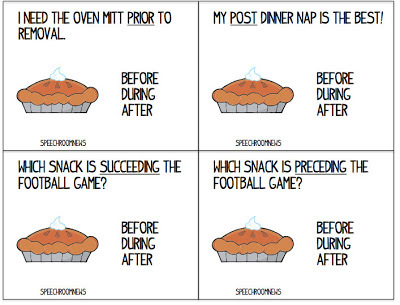 Identify the general meaning of each sequencing word (before, during or after.) 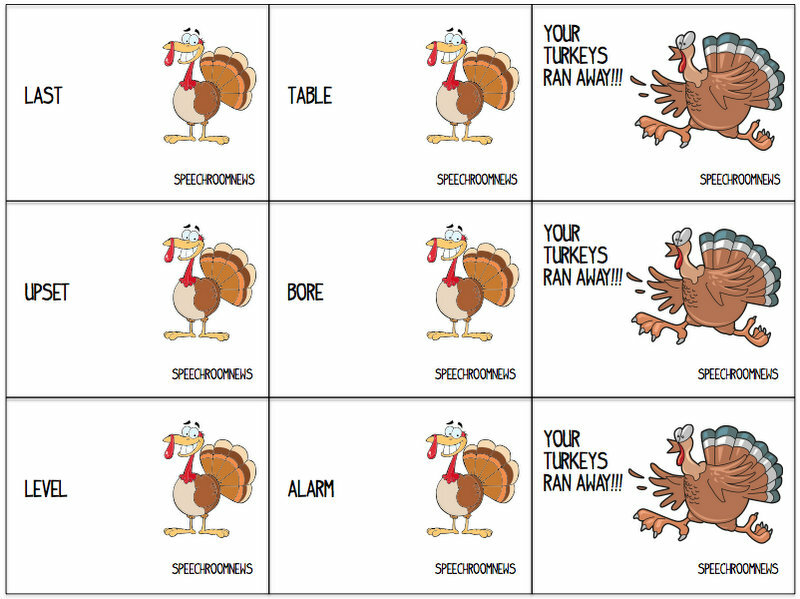 Multiple Meaning Turkeys 🙁 18 cards) read the word. Provide two definitions for each word. 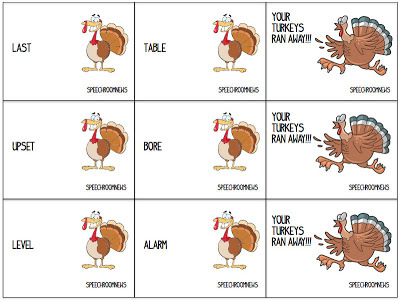 If you draw the runaway turkey cards, put all your cards back. Main Idea/Details (16 cards) Students draw a card. Read the paragraph. Have the student give the main idea and details. Find the item in my TPT Store! Please leave a comment and let me know what you think! Do you want to see more middle school activities? This is awesome! I think you could actually rename it “Middle and High School Language” since HS kids are still working on these skills! 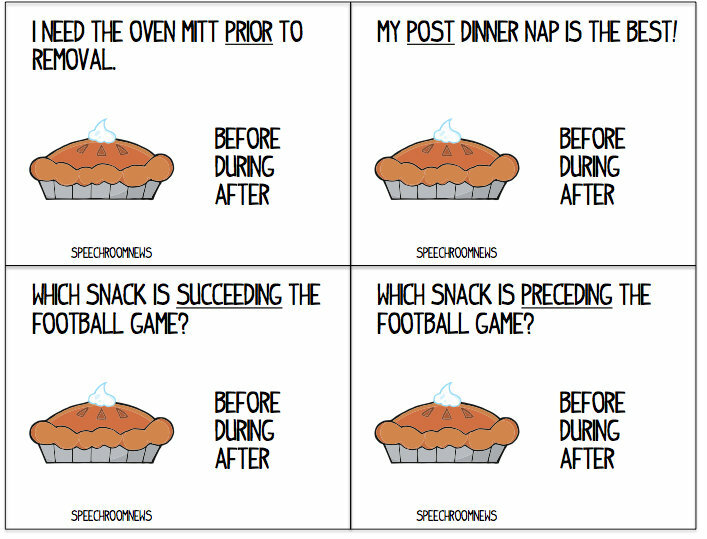 I love all of your recent Thanksgiving related activities. Unfortunately, I do not work with middle or high school students; however, I’m going to be recommending this to my co-worker who has the middle and high school caseload because it looks really good. Thanks, Jenna! It’s just what I needed! This is great! I am so excited to see middle school activities as I am in a role of only serving grades 5-7 this year. Thanks for the great activities!